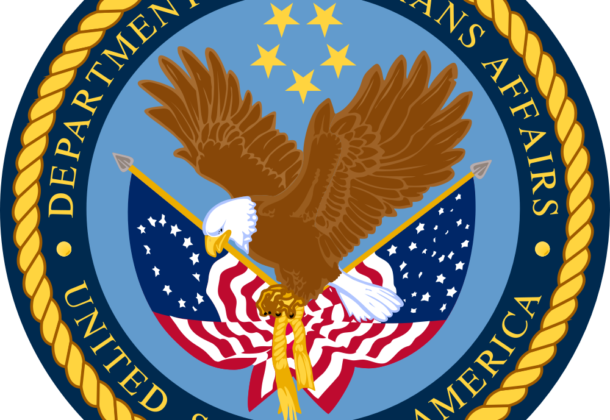 An Inspector General report finds Veterans Affairs officials improperly denied benefits to thousands of military sexual assault victims, reports Military Times. The IG report found required procedures were not followed and resulted in undue stress and denial of benefits to those those entitled to receive them. VA officials promise to review all denied military sexual trauma claims from October 2016 forward. The International Atomic Energy Agency found no indication that North Korea had stopped its nuclear activities, adding to doubts about the country’s willingness to abandon its arsenal, reports Reuters. Lockheed’s Martin second GPS III satellite passed the Air Force’s technical and safety tests and is ready to launch, likely in 2019, reports C4ISRNET. The new satellite constellation is expected to be a significant improvement over the current generation of satellites. Russia will begin S-400 missile system deliveries to Turkey in 2019, reports Aljazeera. The move comes amid a growing rift between Turkey and its NATO allies in the West. “The contract on the S-400 to Turkey is being executed within the agreed timeline,” said Alexander Mikheyev, chief of Rosoboronexport, Russia’s state weapons exporter. NASA has started a series of flights to identify physiological impacts on humans flying high-performance military aircraft, reports FlightGlobal. During the tests researchers will measure the breathing of five NASA pilots flying in F-18A/B and F-15D aircraft while they are using different equipment types and experience different flight conditions. Senators add $10 million to defense budget for returning the remains of fallen US combat troops from North Korea. The move, part of the fiscal 2019 defense budget debate in the Senate this week, follows a similar move by House lawmakers in June and all but guarantees a hefty boost for the Defense POW/MIA Accounting Agency if both chambers can settle on a defense spending, reports Military Times. Military retirees have new options for dental and vision care starting Jan. 1, 2019, reports Military Times, but the changes won’t be automatic. To remain covered, policy holders must take specific action beginning Nov. 12. The Tricare Retiree Dental Program ends Dec. 31 and will be replaced by the Federal Employees Dental and Vision Insurance Program. Most military retirees and their families who are enrolled in Tricare will be able to enroll in FEDVIP for dental coverage, vision coverage or both. One year later, McCain sailors and families remain locked in legal battles with the oil tanker owner, reports Navy Times, to determine responsibility for the collision and who should pay for it. So far, 48 McCain sailors and families of the fallen have filed personal injury and wrongful death claims against the owner of the Alnic MC, a hulking oil tanker that collided with the warship inside the bustling Malacca Straits on Aug. 21, 2017, according to federal court records. Navy battle force loses two ships after new ship-counting rules postpone Zumwalt destroyers, reports USNI. The 2019 defense authorization bill clarifies that a ship cannot be included in the Naval Vessel Register’s list of battle force ships until it has been fully delivered to the Navy – and in the case of ships with a phased delivery, where the Navy takes custody of the hull but adds in the combat system or electronics later, that means the final delivery date. Social media giants Facebook and Twitter said they have removed hundreds of pages and accounts linked to Russia and Iran ahead of the midterm elections in the US, reports VOA. Facebook said it had removed 254 Facebook pages and 116 Instagram accounts that originated in Iran and were part of a disinformation campaign that targeted countries around the world, including the US and Britain. Progeny Systems Corp., Manassas, Virginia, is awarded a $40,601,413 cost-plus-fixed-fee, cost-plus-incentive-fee, fixed-price-incentive-fee contract for the production of MK54 Mod 1 lightweight torpedo kits and related test equipment, spares, and engineering and hardware support services. This contract includes options which, if exercised, would bring the cumulative value of this contract to $303,186,635. This contract combines purchases for the Navy (99 percent); and the governments of Canada, the commonwealth of Australia, the United Kingdom, and Taiwan (1 percent) under the Foreign Military Sales (FMS) program. Work will be performed in Charleroi, Pennsylvania (55 percent); Salt Lake City, Utah (41 percent); and Manassas, Virginia (4 percent), and is expected to be completed by August 2022. Fiscal 2018 weapons procurement (Navy) funding in the amount of $21,690,207; fiscal 2017 weapons procurement (Navy) funding in the amount of $18,550,183; and FMS funding in the amount of $361,023 will be obligated at time of award and will not expire at the end of the current fiscal year. This contract was not competitively awarded in accordance with 10 US Code 2304(c)(5) – a statute expressly authorizes or requires that the procurement be made from a specified source. The Naval Sea Systems Command, Washington, District of Columbia, is the contracting activity (N00024-18-C-6410). Aptima Inc., Arlington, Virginia, is awarded an $18,400,000 cost-plus-fixed-fee, five-year Small Business Innovation Research (SBIR) Phase III indefinite-delivery/indefinite-quantity contract for the procurement of services relating to research and data collection on methods to measure student performance and design and developing an adaptive performance measurement framework for the Center for Surface Combat Systems. This contract combines purchases for the Navy (25 percent); and the governments of Japan (50 percent) and Australia (25 percent) under the Foreign Military Sales (FMS) program. At the end of the contract, each country will receive the same intellectual property and/or material. Work will be performed in Orlando, Florida (67 percent); Arlington, Virginia (13 percent); Woburn, Massachusetts (12 percent); Salt Lake City, Utah (4 percent); Billings, Montana (3 percent); and Dayton, Ohio (1 percent), and is expected to be completed by August 2023. FMS funding in the amount of $988,482 will be obligated at time of award and will not expire at the end of the current fiscal year. This contract was not competitively procured, in accordance with 10 US Code § 2304(c)(5) as implemented by Federal Acquisition Regulation 6.302-5 (Authorized or Required by Statute — applies to SBIR Phase III awards). The Naval Surface Warfare Center, Dahlgren Division, Dahlgren, Virginia, is the contracting activity (N00178-18-D-9003). OSI Federal Technologies, Inc., Dulles, Virginia, is awarded a $10,230,497 firm-fixed-price, indefinite-delivery/indefinite-quantity contract for the procurement of up to 3,000 commercially available laptop computers and additional laptop accessories, including up to 1,100 spare solid state drive hard drives; up to 150 docking stations; and up to 900 carrying cases in support of all Navy aircraft for Joint Mission Planning System laptops to serve as mission planning computers in fleet deployed aircraft. Work will be performed in Dulles, Virginia, and is expected to be completed in August 2020. Fiscal 2018 other procurement (Navy) funds in the amount of $2,572,147 are being obligated on this award, none of which will expire at the end of the current fiscal year. This contract was procured via a full and open competition request for proposal, with five offers received. 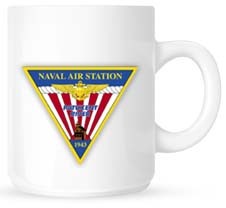 The Naval Air Warfare Center Aircraft Division, Lakehurst, New Jersey, is the contracting activity (N68335-18-D-0006).